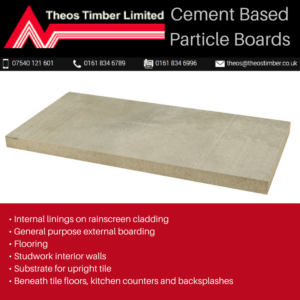 Cement particle boards can be used on both external and internal application and structures. It includes ceilings, acoustic, floors, wall partition, general linings and so much more. They are also known as Building boards or backer boards, CBPB, Sheathing boards or even CP bords. The boards are considered environmentally friendly. Choosing the best supply service is very important. It doesn’t matter what the board is to be used for good quality is much more preferred. It is awe-inspiring the many ways that you can exploit the cement boards as they are also very affordable. The cement particle boards are very suitable for external building as well because they are weather resistance. They are also used to make fabricated houses and even in flooring works. The board can also be used in partitioning a space for sound insulating. The material is so reliable that it can also be used to make some permanent formwork and even wet room lining. They are versatile and are not limited to one use only. Right quality boards are very easy to keep and maintain. They are also water resistant including moisture resistance, impact resistant and also frost resistant. You can even decorate them and transform them into what you want. The cement particle boards can be used for the same purpose, but they are different. Each board has its strengths and capabilities that are unique and designed to meet specific needs. A good company will not only provide the service but also help with the tricky yet straightforward technical issues. The boards are made of cement, wood and even water. It, however, depends on the customer. The cement boards can also be customized to fit the space one is in and also their exact requirements. An excellent company to get cement particles board from is one that delivers and respects the agreement made in general. It can be hard to choose the best brand in cement particles board because of the many choices available for customers. Some of these include PYROC, BOARD, CEMPANEL, Y WALL and so much more. There are some very major advantages of using cement particle board. A good example is they are easy to cut to size. The cement boards can withstand the presence of mildew and not break down even when leaks occur. Researching online is a great way to know more about the board brand before setting for it.